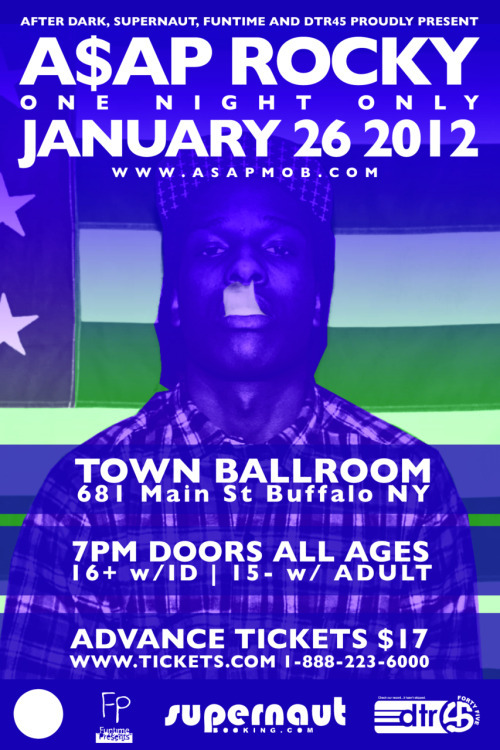 Around BuffaLowe: A$AP Rocky in Buffalo [1.26.12] – Be Fearless. Be Flagrant. After Dark Entertainment, Supernaut, Funtime and DTR45 brings A$AP Rocky to Buffalo, NY for 1 NIGHT ONLY!!!!!!!!!!!!!!!!!!!!!!!!!! !